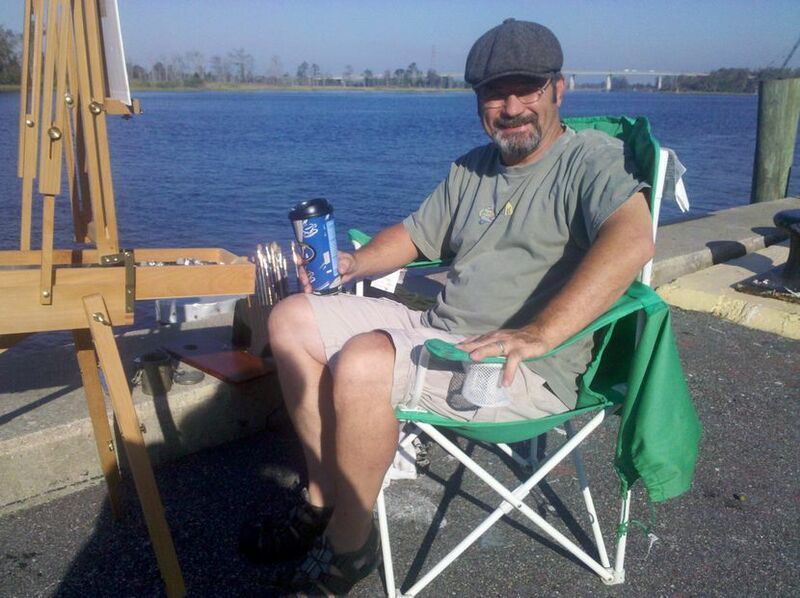 October Paint Out set for October 23rd at Richard Ray Park! WHERE: Richard Ray Park, 1200 Commons Drive North, Jacksonville NC 28546. Beautiful Park that contains winding trails and breathtaking scenery. Park also features a state-of-the-art playground with a synthetic rubber surface to help prevent injury. Park contains a shelter, gazebo, pond with fountain, monuments, and walking trails. Restrooms located on site. Turn left onto Western Blvd from HWY 17S (Intersection near Wal-Mart and Chuckie Cheese) as you come off the By-Pass or turn right onto Western Blvd if coming from HWY 17N New Bern_… From Western Blvd, turn right onto Gateway N.. Make a right at the stop sign, and turn into the first parking lot on your right. 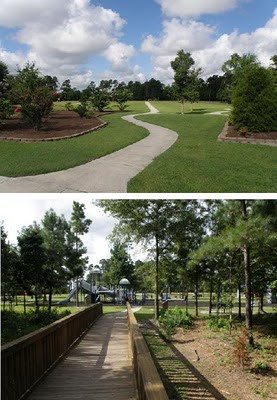 The park is located in the Jacksonville Commons Area. 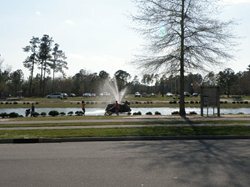 Look for the huge pond with water fountain… parking lot is just across the street from it. If you have a GPS or access to Google Maps… plug the following address in and you should have no problem finding the park… 1200 Commons Drive North, Jacksonville NC 28546. 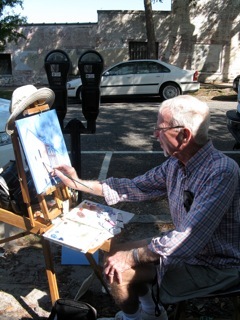 Richard Ray Park, Jacksonville Commons. WHAT ELSE: If we want... A Dutch Treat dinner at a local restaurant of our choosing for fellowship and discussion about the days events. 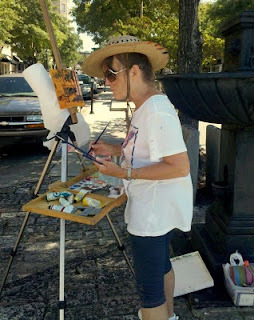 Special Invitation from Phyllis Steimel to Paint Out in Salisbury, NC on October 8th. Would you, could you, will you...please put this information out to your painters? We are looking forward to an exciting day and would love to have some of your group participate. 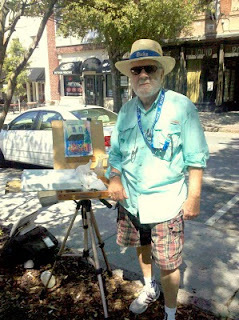 On Saturday, October 8, 2011 from 9 am to 4 pm,, Plein Air Carolina will host a 2011 "Oil Painters of America Paint Out" in Salisbury NC. All interested artists will gather to paint on location, with the medium of their choice. In this artistic endeavor, Plein Air Carolina will partner with the Historic Salisbury Foundation and the Waterworks Visual Arts Center, allowing the artists to paint historic sites in the 36th Annual OctoberTour. The Tour this year includes 3 private homes, 2 commercial properties, 2 museums, a living history encampment with enactors in period dress and an historic medical display at the Civil War home of Dr. Josephus Hall and 2 early American cemeteries. Trolleys and horse drawn carriages will be evident throughout the weekend. Food and vendors will be on hand during the day. A reception, hosted by the Historic Salisbury Foundation, will be held Saturday evening from 5 pm to 7 pm, at the Hall House, 226 S. Jackson St. in the historic district. There, you are invited to exhibit your paintings, from that day, and 100% of all sales go to the artist. Following the reception, the North Carolina Symphony will be in concert at Catawba College for those who might wish to stay. Plein Air Carolina is a group of professional and amateur artists who meet each week to paint "en plein air", French for "in the open air". 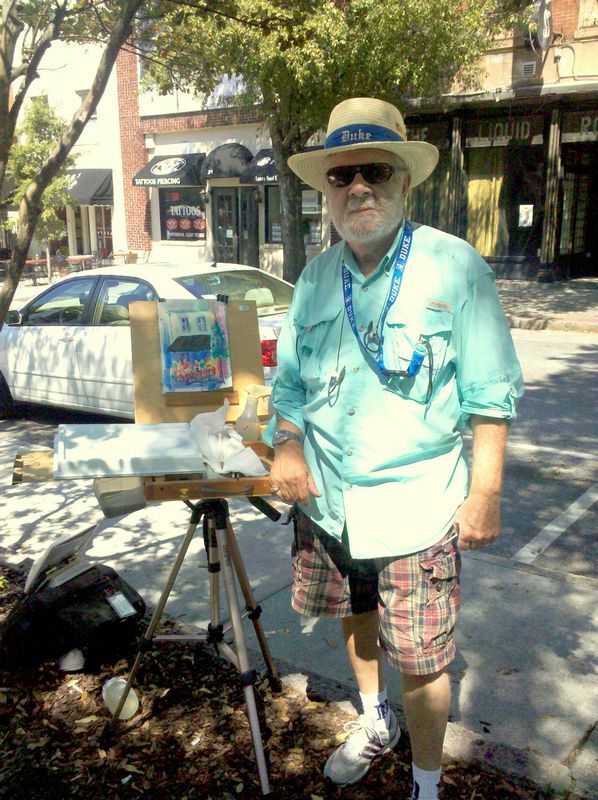 The artists of Plein Air Carolina seek to educate the public about art and plein air painting, and encourage interested artists. 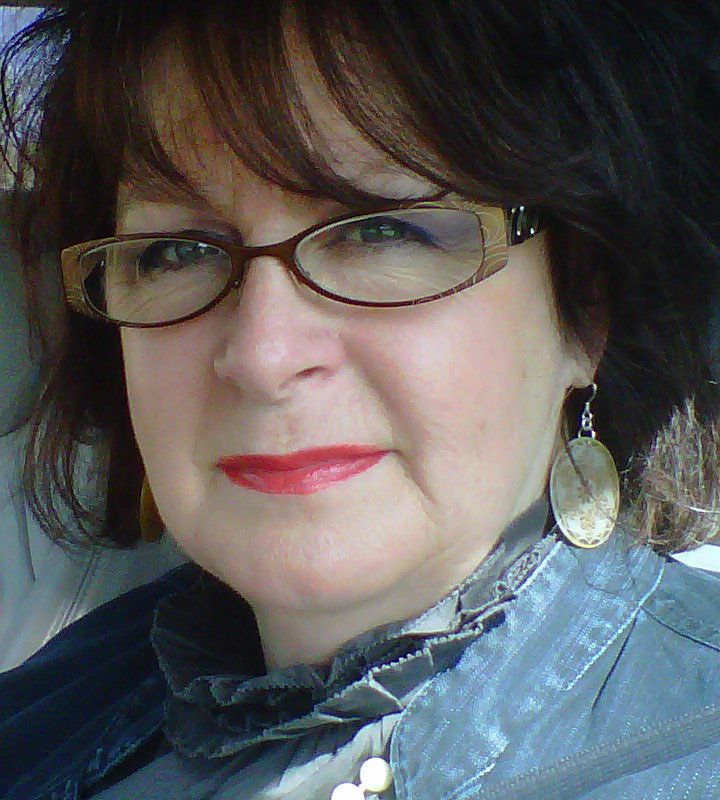 The organization is sponsored by the Waterworks Visual Arts Center. 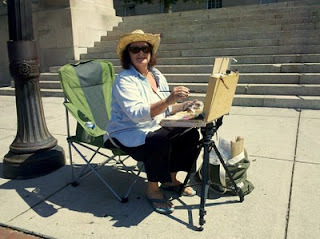 The rain date for this Paint Out is Sunday, October 9. 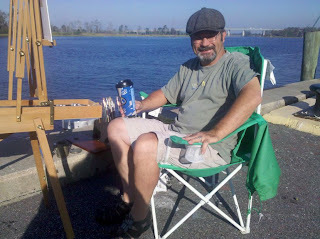 Mini Workshop by Jim McIntosh in Southport, October 29, 2011. WATER CONTAINER, PAPER TOWELS, AND SUPPORT BOARD. 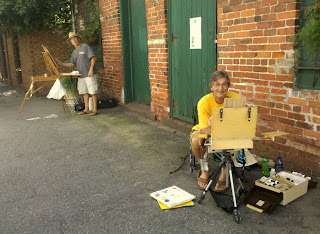 JIM IS A RETIRED BIOLOGY PROFESSOR AND AN EXCELLTENT TEACHER BLENDING HUMOR WITH THE PAINTING! A FUN TIME IS GUARANTEED! THE CLASS WILL BE FROM 9 AM TO 3 PM. PLEASE BRING A BAG LUNCH.